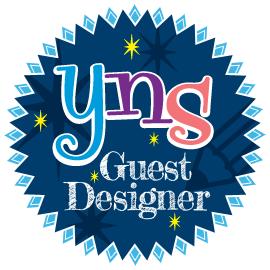 A couple of posts for CAS-ual Fridays today - if you would like to see the previous post for the monthly Sistahood Blog Hop, just scroll up. 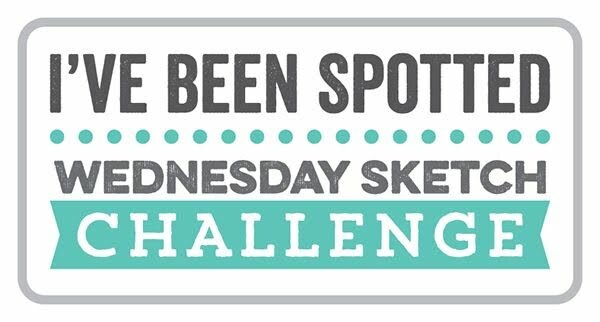 I inked up one of the newer sets for this one - Thanks. 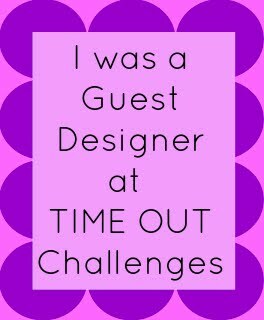 I love the bold sentiments, perfect for designing backgrounds like this one, in a variety of multi-coloured inks. A simple button tied on with twine and a smaller sentiment from the same set and it was all done! 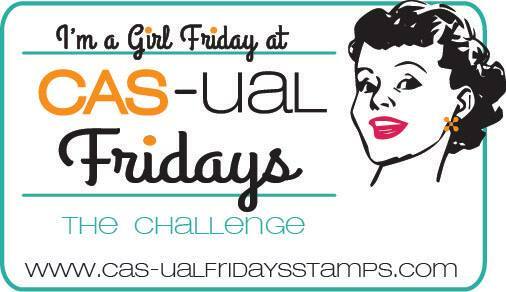 For your chance to win a $25.00 gift certificate from CAS-ual Fridays, link up your card using the theme. It can be any style - clean and simple, layered, mixed media - we don't mind! 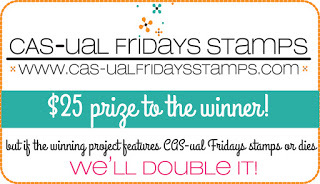 And if you use CAS-ual Fridays Stamps, Michele will even double the prize! This is so fun and colorful!